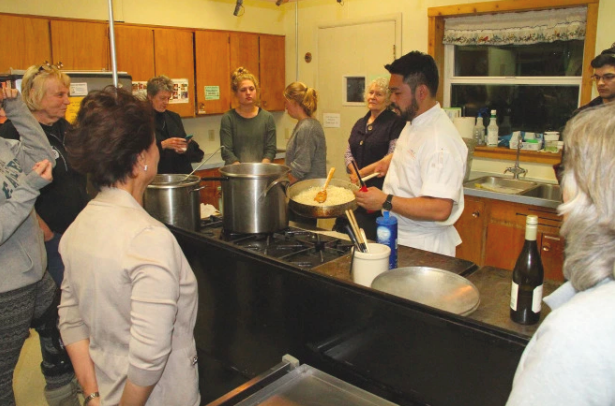 Sitka Kitch has moved into a new kitchen recently at the Lutheran Church and organizers want to introduce the space to local aspiring chefs. Claire Sanchez joined KCAW’s Erin Fulton on today’s Morning Interview to invite Sitkans to an evening of trivia, a silent auction and good food this Sunday, Feb. 17 at 5:30 p.m. Entrance cost is $10 unless you bring a dish to share. Sitka Kitch was born out of the 2013 Sitka Community Health Summit and is a community led project to bring people around food and a sustainable food system, according to Sanchez. For information on this fundraising event, contact Sanchez at 747-7509.